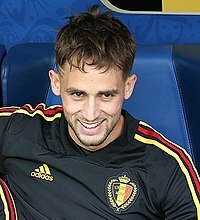 ^ a b c What's going on with Adnan Januzaj and his 'dive' bookings? ^ Manchester United teenager Adnan Januzaj rescued manager David Moyes from another hazardous situation as he inspired a vital victory at Sunderland. ^ Has Adnan Januzaj really dived more times in his career than Luis Suarez?